There is something special about a woman who wears her hair natural, radiating beauty and self confidence. She’s happy in her own skin and isn’t afraid to show it. However for many, who have not embraced their natural hair, seeing a beautiful natural hairstyle on someone else can often make them shy away from their own natural tresses, as it feels unattainable. The fact is, it may not be possible to replicate that exact hairstyle but it’s about getting something as close that you feel comfortable with and love. Learning what works for you - your own hair celebrations!! 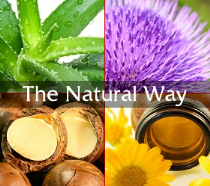 Throughout this section we have written the benefits of being natural from our perspective which should give you some food for thought, motivation and encouragement on your journey. Becoming natural introduces you to a world of endless styling options and dependent on your mood or outfit, there is so much you can create. Afro hair is the most versatile hair type out of all races; it is unbelieveable that it's firm enough to stay in place to create the perfect signature Fro, but supple enough to blow in the wind. What other hair type can you think of that is short, coiled and defined on Monday and then double or even triple in length on Tuesday. Our hair truly is remarkable! Having choices is great, however being versatile can also mean being unpredictable so our advice to you would be to plan ahead e.g. spending hours on a fancy style to find out it's going to rain all day is extremely annoying so always be prepared. We both have individually customised "I Love Afro SOS kits", with bobby pins, clips and accessories, in case we need to fix or even change a hair style throughout the day - learn what works for you. Loving your hair and caring for it correctly is of the utmost importance. An I Love Afro must is having time and patience with your hair. As previously mentioned our hair is amazing but extremely fragile therefore not handling it with the right amount of care can lead to damage. We are all guilty of being impatient and maybe a little too harsh when it comes to hair care, but it is imperative that we remember our hair is delicate and should be treated as if it were the finest silk. With the right hair routine, nourishment and of course love our hair has endless possibilities and yes, if you have time and patience can grow strong, long and luscious. Loving yourself is just as important and finding your inner Nubian will be just as beneficial to you as it is loving your natural hair. Finding the confidence needed to be a natural Sister or Brother is necessary to your journey as it takes a strong person to go against society's perception of beauty - show the world that you’re natural and proud. Once you feel just as confident (or more so) with your full head of curls than with a straight hair style or extensions, my word you've cracked it and are on your way! It's a wonderful feeling knowing that you are truly one of a kind and although others may have a similar hairstyle or length, no one will have your distinct hair pattern or texture. There must have been a time that you've seen a hairstyle and have been frustrated when you haven't been able to replicate it. Always try to use hairstyles as inspiration to create something for you. That way if it doesn’t turn out exactly the same it’s not a problem. There are times when creating a hairstyle doesn't always go to plan, this can happen to us all - just remember that Rome wasn't built in a day and practice makes perfect. A wide tooth comb or brush for detangling will make your hair care routine so much easier as well as a silk or satin scarf to protect your hair at night. Bobby pins/hair pins, side combs, headbands, flowers (clip on or side comb). To accentuate your look other accessories can be large earrings, necklaces etc. An important part of your routine are products created for your hair type. Using the best products on the market to quench your thirsty curls maybe more costly than cheaper chain brand products available on the high street. But you can guarantee that with our products we use the finest ingredients to benefit your hair long-term, as well as provide you with a wealth of information on how to get the most out of our products. 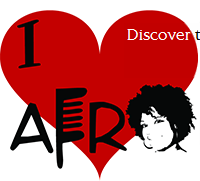 Don’t forget to subscribe to our newsletter to keep update to date with all that’s going on within I Love Afro – be apart of the I Love Afro family!! 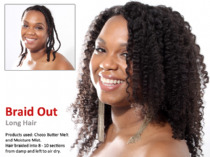 So there you have it, hair tools, products and accessories are all you need to maintain and style your head of curls. Of course you'll have to replenish your product supplies but we're sure any previous monthly expenditure will far outweigh the cost of being natural!! We have found that becoming natural and wanting to increase your knowledge of what is in haircare products often goes hand in hand. The main reason for this is since you have taken your hair back to basics you often find that you want to do the same with all products you use. Using the best ingredients is an important factor for nourishment so taking the time to learn what‘s in your products can help achieve the healthier, happier hair that you are looking for. Think of what you put into your body, if you eat the best foods to maintain and nourish your body - why wouldn't you do the same for your hair? We can guarantee that our products are free from cones, sulphates, formaldehydes, mineral oil, petroleum or other nasties as we always aim to use a natural alternative where possible. Learning why certain ingredients (chemicals) are deemed as bad for hair will help you realise the importance of using premium ingredients. We hope that you find the Benefits of Being Natural informative, invaluable and encouraging as it isn't always easy becoming natural especially when you are not fully equipped with the know-how. 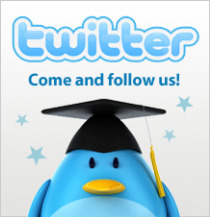 Enjoy your journey and persevere you'll be glad you did - WE ARE!!! !